"You may also like" is a deceptively simple — but important — phrase, as consumers have come to expect real-time recommendations specifically tailored to their needs. Major enterprises, including Walmart, eBay and others, chose Neo4j to power these rapid-fire recommendations and were happy to find that it performed thousands of times faster than a traditional MySQL relational database. 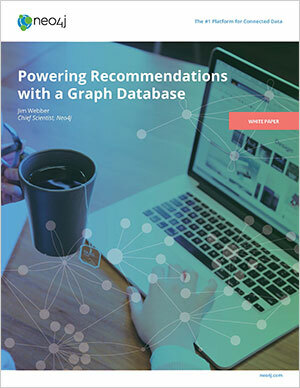 Fill out the form to download the white paper: Powering Recommendations with Graph Database Technology.